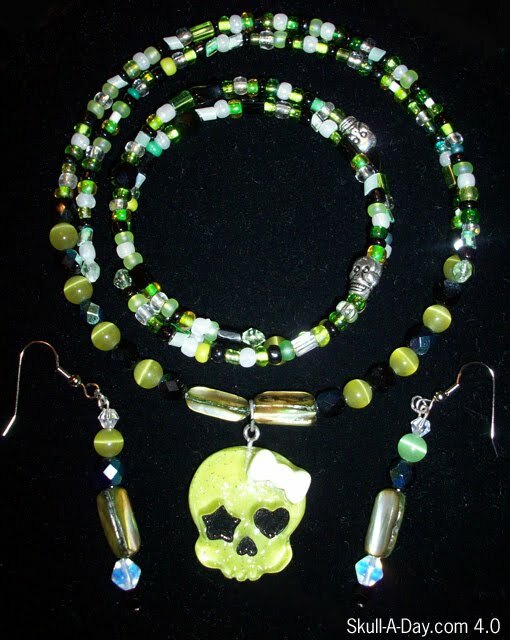 Jennifer Hall is a huge fan of skulls and has been making jewlery for over a year now. 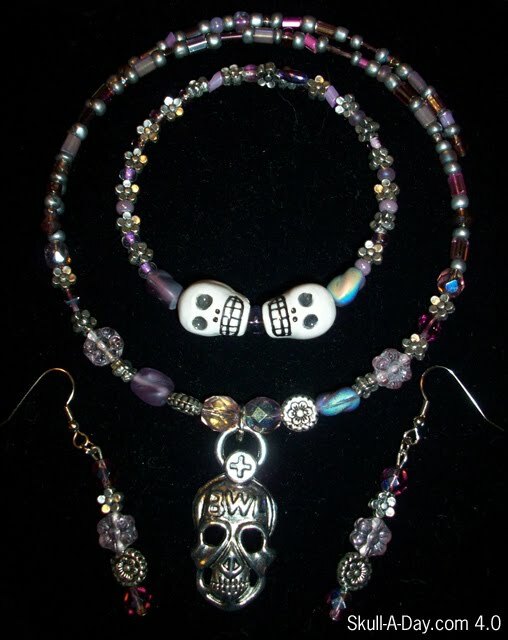 She sent us these photos of 2 skull jewelry sets. I really like the color and bead combos. They work really well with the skull pendants. I've made jewelry before, but nothing like this. I like that they are sets, but the pieces each work well on their own too. The 1st one reminds me of the beach with the watery shades and shell like quality of the skull. The blue and green glass beads also remind me of beach glass, which is something I love collecting. The 2nd one reminds me of a patch of violets that are covering an unmarked grave. The use of purples reminds me of the rare purples used for royalty in ancient times.